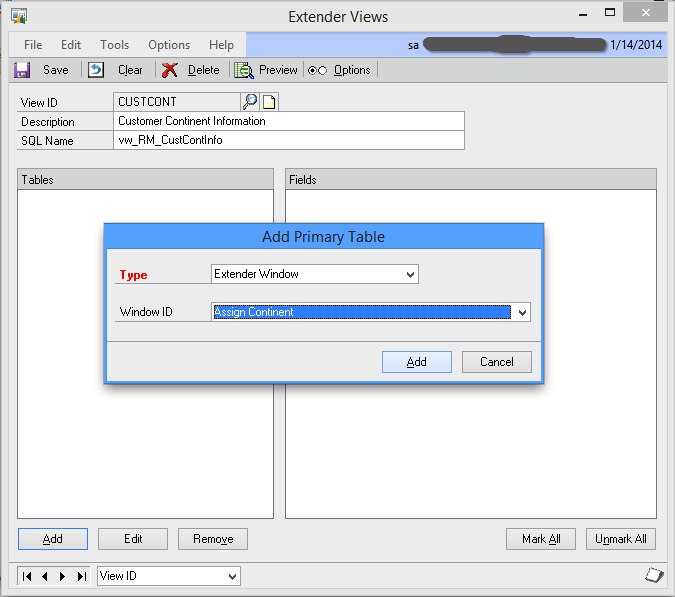 #MSDYNGP Extender View Involving Extender Window/Form – Strange “Add Link” Issue & Reason. Firstly, I am not sure whether I should categorise this as an issue. Let me explain this with an example. 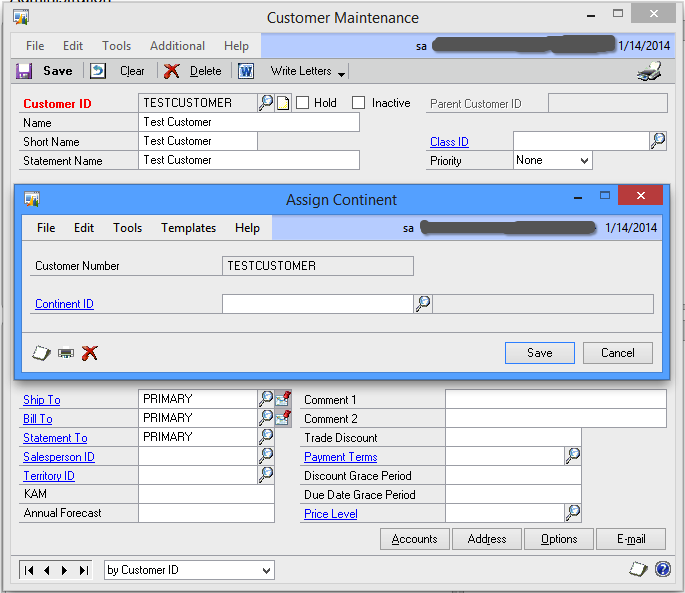 For illustrative purpose, my requirement is to assign an additional information to customers. In addition to Country Code, I would like to assign from which continent a customer is from. 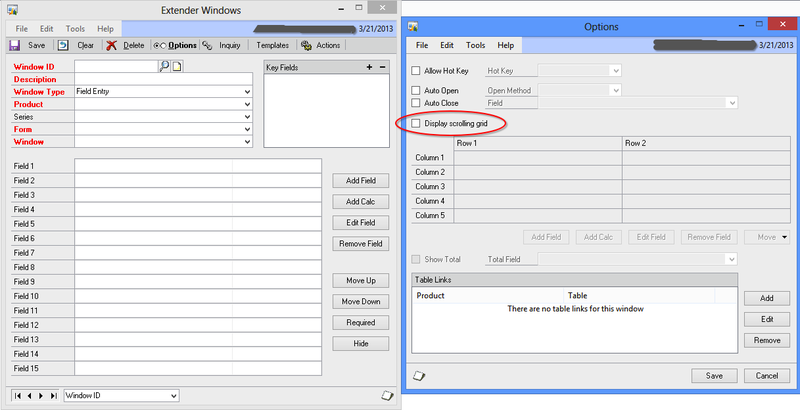 Note that there are no fields apart from ID and Description. Perfect. Let’s now get into the actual issue. Did you see that? 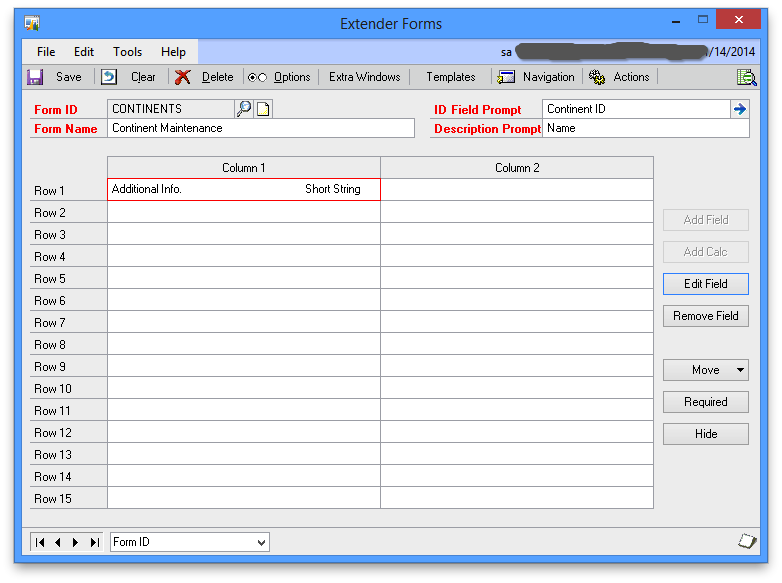 I do not have my Extender Form fields shown here. I have two fields; Continent ID and Name. Where are they? Why are they not shown here? Shouldn’t it be available for me to link with my Extender Window’s Continent ID? 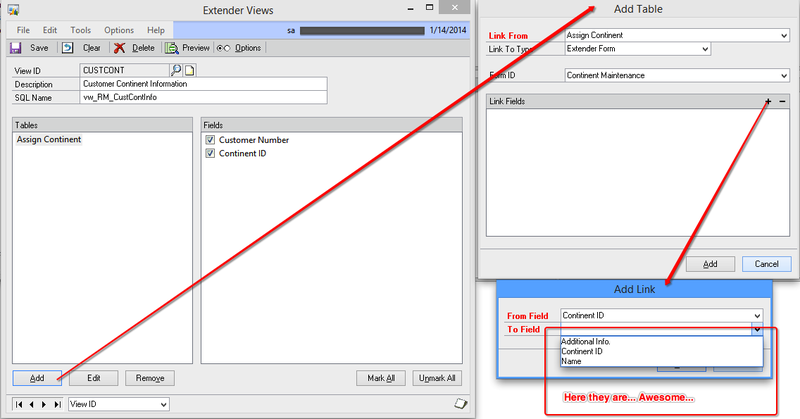 REASON: If your Extender Form DOES NOT have any other field than an ID and a Description (in my case, Continent ID and Name), ADD LINK To Field will not list out the ID and Description fields. Did you see that? They are available now. 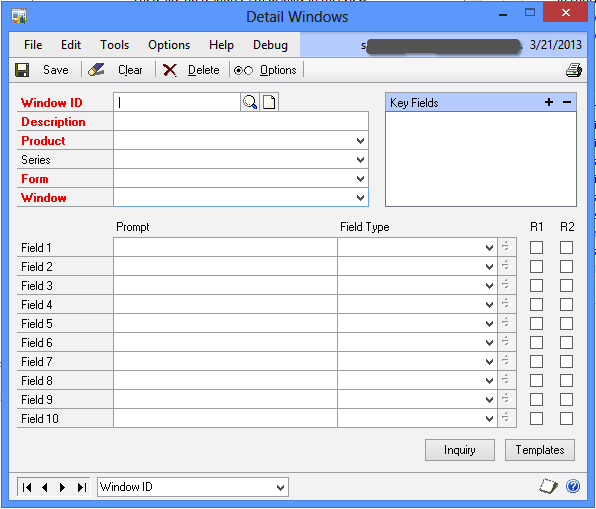 AFTER adding a field in addition to default ID and Description fields. And I am not sure how many have ever noticed this. I am noticing it for the first time now. 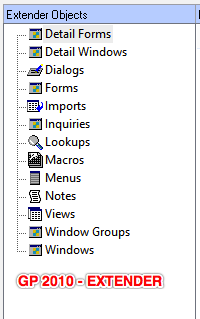 I haven’t created any form with only ID and Description till now. I had to spend 4 hours to identify this reason, honestly. Had no idea whatsoever. 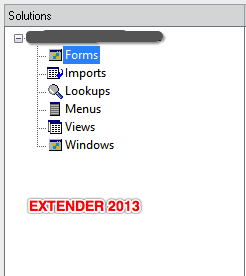 eOne Solutions has released Extender 2013 for Dynamics GP 2013 today (late yesterday for some regions). Read their official blog post here: Extender Delivered. Instructions on how to get the new version and license keys can be obtained from either your Partner or eOne directly. Shoot an email to them and they would be more than happy to guide you. Let me continue with my customisations’ upgrade. Hectic times ahead. eOne Solutions has got an update on release dates of their products for Dynamics GP 2013, including Extender Standard and Enterprise. Since I am one among those who wait for Extender Standard for GP 2013, the release date has been planned before March 8th, 2013. Highly important post; read it and plan your schedule of implementation (upgrade/fresh) accordingly. eOne Solutions has posted an update on Extender Transition process on their blog. It’s very important for both partners and customers to read it and get an idea about what’s been going on and what to expect in future. I would like to highlight the points about Pricing Changes, which are highly critical to any customer. Read the post and get informed. This is, to some extent, bad news for me at least. I was planning for an early upgrade to GP 2013 for my GP production environment. As 40% of my customisation depend on Extender, it feels so bad that I cannot get Extender for GP 2013 till Early to Mid February 2013. This news has been confirmed by eOne Solutions on their official blog. Original post here: Delivery Date. I am disappointed to say the least. But considering the issues that eOne developers are going thru’, especially due to a very late announcement from Microsoft to detach Extender from their OEM arrangements, I empathise with them on their most gruelling time to get things streamlined and meet customers’ expectations. I shall await their official announcement on Extender’s availability for GP 2013. Much has been written, discussed and thought about Microsoft’s strategy on moving Extender licensing and support to it’s original developer, eOne Solutions, from GP 2013. 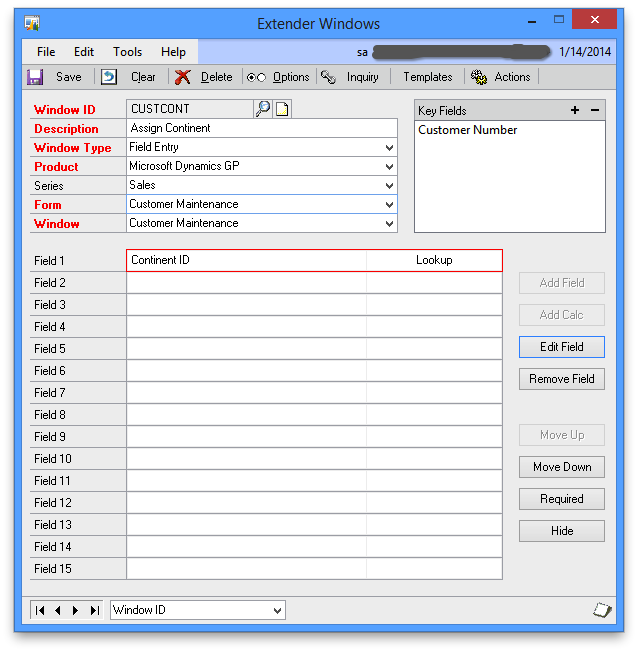 It was first highlighted by Victoria Yudin on her blog; Big announcement for Microsoft Dynamics GP’s Extender module. It was soon followed by several posts from all GP community. Having said and done all, eOne has clarified an important thing to all customers and partners. If you wish to Opt-In (explanation of what it is all about is there on the post), please read this post from eOne Solutions: Opt-In eXtender Customers. 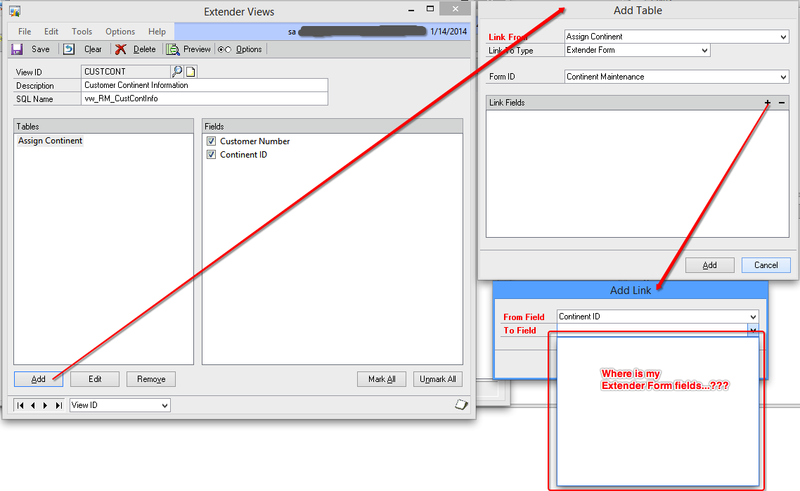 This is a very important post for all those use Extender and time to get it done if you are planning your GP 2013 upgrade in near future.